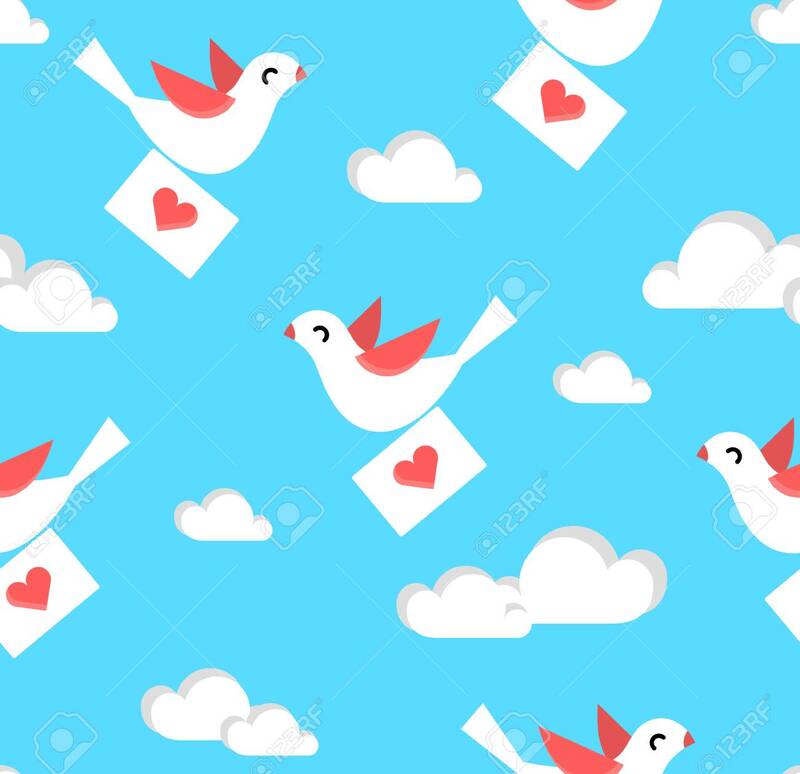 Summer Pattern With Dove, Envelope And Clouds In The Sky. Vector Background. Royalty Free Kliparty, Vektory A Ilustrace. Image 81433412. Reklamní fotografie - Summer pattern with dove, envelope and clouds in the sky. Vector background. Summer pattern with dove, envelope and clouds in the sky. Vector background.